Children exercise their creativity and have fun as they improve hand stability, paper stabilization and hand-eye coordination. Kit includes: 1) A dense foam board that can be used on any surface and is specially designed to withstand extensive use while maintaining appropriate resistance; 2) A top-heavy hammer is specially designed to improve hand-strength by forcing a strong grip; 3) The 50-colored pegs which can be used to develop color-recognition, learn sequencing and develop motor skills; 4) 105 pounding pages that keep children engaged, entertained and learning from preschool through Kindergarten. 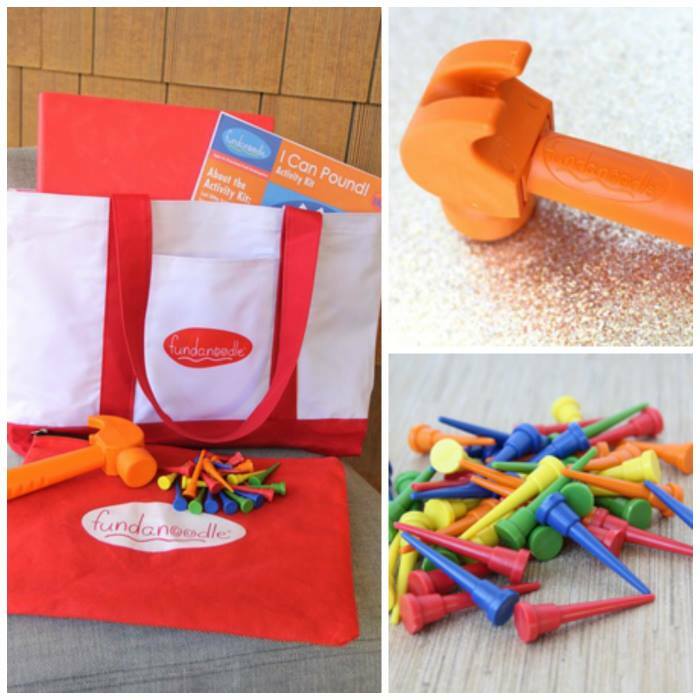 The kit comes packaged in a sturdy Fundanoodle canvas tote for easy storage and mobility.